Leeds faced strong resistance from League Two Chesterfield Town last night as they came from behind to set up a second round derby clash with Doncaster Rovers in the League Cup. The Whites made seven changes from Saturday’s starting XI against Brighton and the result spoke volumes about the quality of depth McDermott has to work with. Make no mistake, Chesterfield are a good side who try to play attractive and attacking football. They deserve a lot of credit for their performance last night, as do their fans who turned up in good numbers (around 2,300 of them in total) and made plenty of noise. But the manner in which a League Two side totally outplayed us at times was nonetheless concerning from a Leeds United point of view. That Chesterfield only managed the one goal was more down to luck than good defending. Jason Pearce cleared an attempt off the line, Paddy Kenny was called into action more times than you’d expect playing a team which should be so much weaker than Leeds and Chesterfield really should have had a penalty following a foul which looked to be well inside the box, but was given as a free-kick. You can’t hold the defence totally responsible for the amount of chances Chesterfield managed to create though, you have to take into consideration how easily Michael Brown, David Norris and the rest of Leeds’ midfield were having it passed around them. 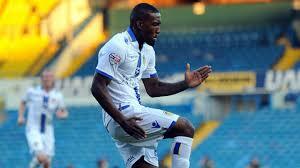 A stark contrast from the impressive Leeds United midfield on Saturday, I’m afraid. Michael Brown redeemed himself somewhat with a superbly struck equaliser from outside the box, a goal reminiscent of his younger days at Sheffield United. Back when he was still the right side of 30. The rest of his performance gave away his true age though, he lacks the pace to dominate a position like centre-midfield, was passed around like a statue and is unable to cover ground quickly when caught out-of-position – which happens a lot. That’s why you have to have some sympathy for an undeniably poor defence. Because such an ineffective midfield piles the pressure on Pearce and Lees. Elsewhere, I can’t help but wonder how many more times we’ll see Aidy White in a Leeds United shirt. He’s a player I have a great deal of sympathy for because a series of Leeds United managers have Danny Pugh’d him with all the position-switching. But even allowing for his poor command of the positions he’s played in, you can’t escape the fact that his passing is atrocious. Matt Smith is another player who failed to impress, missing chances I’d have expected any other striker to score – or at least hit the target – from. He’s new and you feel he’ll improve once he’s had chance to settle, but last night he looked poor against a League Two defence. There’s no sugar-coating that. The one shining light of the performance was Dominic Poleon. A striker with a decent amount of pace who can torment defences and provides a near constant threat for Leeds, the kid looks to have a great future ahead of him. His goal last night was a well-struck effort from the edge of the area, followed up by dance moves which would make Peter Crouch look on in envy – a sort of coming together of the chicken dance and the robot. Inspired stuff. There’s no disguising how poor the performance was from Leeds, but the truth is, it made for quite an entertaining match. It’s a little concerning that a match between a League Two side and Leeds United was so fiercely competitive, but we pay to be entertained, and considering how cheap the tickets were last night, I’d say we got value for money if nothing else.